With summer quickly coming to a close, there is no better time for seniors to savor the moments they have with their grandchildren before they head back to school. 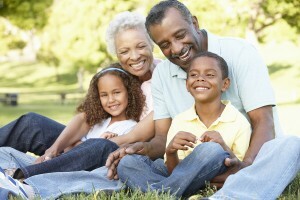 As any senior grandparent will tell you, time with their grandchildren is irreplaceable. This is why it is important to plan a few end-of-the-summer activities for seniors and their grandchildren to do together. While some seniors will need a little help and supervision while doing these activities, these are all great ways for any grandparent to make lasting memories with their grandchildren. Nothing is as fun as baking a new recipe and getting to try out the results. Consider trying an old favorite recipe. The grandparents can oversee production, while the grandkids can help measure and mix the ingredients. Make a special recipe just because, or deliver it to someone who could use a special treat. The end of summer means it’s time for back-to-school. Buying new outfits for the new school year is a fun pre-fall tradition for many kids. It can be a fun activity for grandparents to accompany their grandkids on a little shopping trip to buy something fun and new for the school year, so kids can go back to school in style. Local zoos and museums are a fun place for kids of all ages to visit. Plan a fun day outing before it’s time to go back to school. This can be a whole day outing for a senior and their grandchildren and a fun way to learn about animals, local history or an exciting new topic, all while spending quality time together. So many kids today spend a lot of time playing video games or spending time on their computers. Seniors can encourage a change of pace by playing board games with their grandchildren. This is a fun indoor activity and one that can promote a little healthy competition. Plus, board games are a great way to get everyone involved so all of the family can play together. One of the best things about summer is the warm weather. Savor this time of the year by going to a local park or pool. It is a great way to soak up the sun and for seniors and their grandchildren to have a little fun. Getting plenty of vitamin D is important for both seniors and young kids, so this is a great activity for everyone to enjoy. Reading is a great activity for seniors to do with their grandchildren. It is not only an educational experience for many children, but it can be a great bonding moment for seniors and their grandchild. After reading the book everyone can discuss what they read and what they did or did not like about the tale. Plus, reading together will get children ready for the new school year and excited about reading again after a long summer.